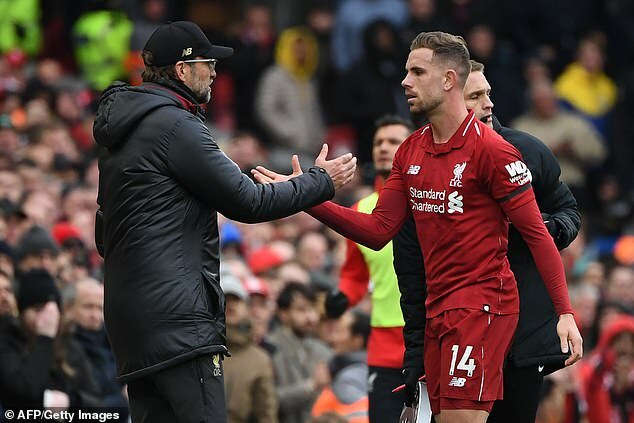 Liverpool captain Jordan Henderson has been praised by Graeme Souness and Jamie Redknapp for seizing his opportunity to establish himself as one of Jurgen Klopp‘s more advanced midfielders. 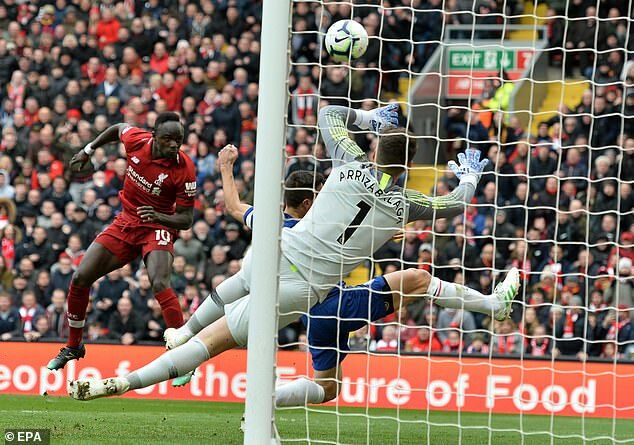 Reds skipper Henderson assisted Sadio Mane’s opener in the 2-0 win over Chelsea with a ball that Redknapp described as ‘the sand wedge to get it to the back post’. 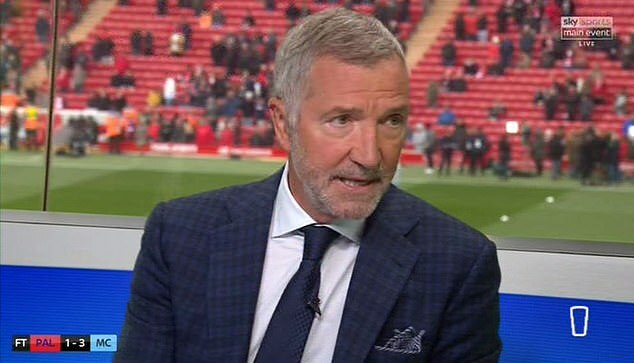 Souness, meanwhile, suggested Henderson is now in his best position as he looks to galvanise Liverpool in the Premier League title run-in. Henderson spoke to Reds boss Klopp about playing in a more advanced position before their 3-1 comeback win against Southampton. The midfielder came off the bench and scored Liverpool’s third at St Mary’s. Redknapp believes Klopp deserves credit for allowing Henderson a chance to prove his point in Liverpool’s midfield. ‘It’s not a case of Jurgen Klopp bowing to his captain and saying “wherever you want to play I’ll put you there.”‘ Redknapp said. 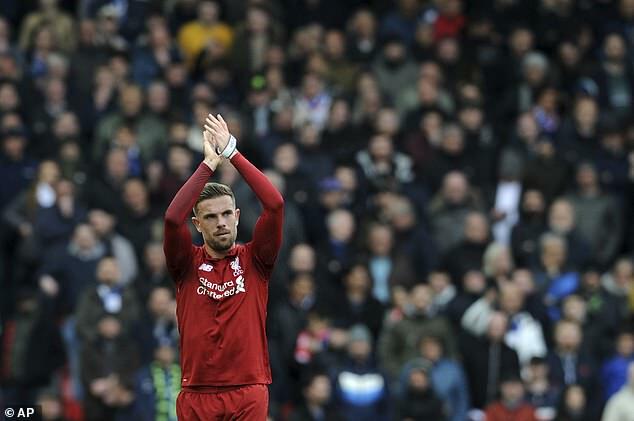 ‘Henderson was on the bench at Southampton and he was given his opportunity and took his opportunity and changed the game. ‘He’s always had great energy and I think his ability with what we saw for the goal today – in the inside right channel – he can put a great cross in. 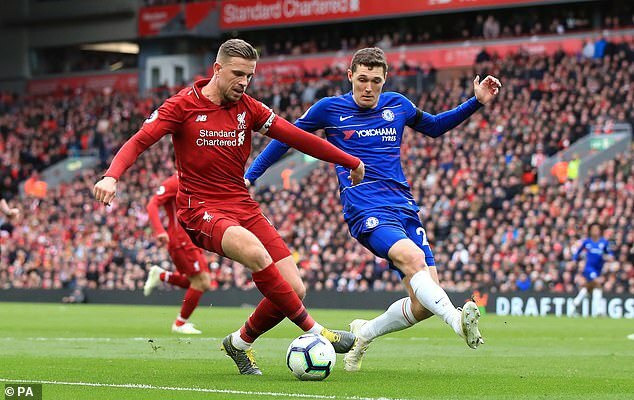 Liverpool’s 2-0 win over Chelsea returned Klopp’s men to the summit of the Premier League table but they have played a game more than Manchester City, who they are currently two points ahead of. Liverpool play Cardiff away in the Premier League next Sunday, while City host Tottenham in Saturday’s early kick-off.